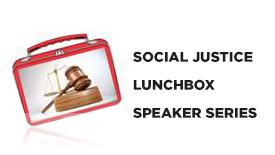 “Cultural Literacy for Lawyers”, the first event in the Social Justice Lunchbox Speaker Series, will be held on Tuesday, October 25 from 12:30 –1:30 pm in Room 2401 at the law school. The Social Justice Lunchbox Series is supported by the W.K. Kellogg Foundation.